Another month, another classic game given away for free as part of EA's "On the House" program: Syndicate. No, not the shooter from a couple years ago, but the legendary 1993 game from Bullfrog. EA's apparently running down the list of famous Bullfrog games now, with the developer's Theme Hospital being used as the free title in January. That's not a bad thing, though—Bullfrog made some of the best PC games in history, and Syndicate is no exception. "In the dark and twisted cities of tomorrow, corporate syndicates compete for global dominance. But the boardroom deals and corporate takeovers of the future look very different from today: they are led by marketing directors who manage teams of half-men, half-machine cyborgs with no conscience and plenty of guns." Basically, you command a group of mercenaries in some really shady dealings. 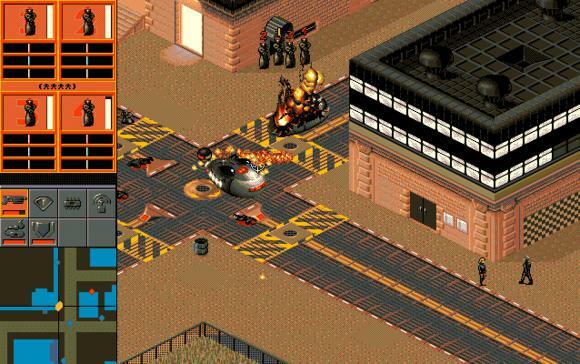 Syndicate's a real-time tactics game played from an isometric view. It's great! And it's free! Though the catch, as always, is that the deal is only available through EA's Origin storefront, so you'll need an Origin account in order to take advantage. No word on when the deal will end, though previous freebies have last about a month and a half. Still, better to jump on it soon if you want to take advantage.